Please bookmark this page as many of our links go to other sites. Flu Deaths are only a small percentage of the frequently stated 36,000 deaths per year associated with the flu. The 36,000 is a combined figure for both flu and pneumonia. Flu deaths alone are typically 1 to 4 % of the combined total of 36,000. There are an estimated average of 1250 deaths associated with the flu each year in the USA [1250/36,000= 3.5%]. The flu vaccine is NOT effective in any age group at preventing the flu. It is never safe to inject decaying matter mixed with poisons into the human body. See the adverse effects section. Influenza-related deaths can result from pneumonia and from exacerbations of cardiopulmonary conditions and other chronic diseases. Deaths of adults aged >65 years account for >90% of deaths attributed to pneumonia and influenza. In one study, approximately 19,000 influenza-associated pulmonary and circulatory deaths per influenza season occurred during 1976--1990, compared with approximately 36,000 deaths during 1990--1999. Estimated rates of influenza-associated pulmonary and circulatory deaths/100,000 persons were 0.4--0.6 among persons aged 0--49 years, 7.5 among persons aged 50--64 years, and 98.3 among persons aged >65 years. In the United States, the number of influenza-associated deaths has increased in part because the number of older persons is increasing, particularly persons aged >85 years. In addition, influenza seasons in which influenza A (H3N2) viruses predominate are associated with higher mortality; influenza A (H3N2) viruses predominated in 90% of influenza seasons during 1990--1999, compared with 57% of influenza seasons during 1976--1990. Source of above: http://www.cdc.gov/flu/professionals/diagnosis/ According to CBS News Healthwatch, "But between 1976 and 1999, the number of U.S. adults 85 and older doubled. And the researchers found that this age group was 16 times more likely to die of flu-related causes than people ages 65 to 69." - - - Now what does that have to do with a vaccine? Over half the over 65 population dies, of all causes, between ages 65 and 85. In the 5 years of age between 85-90, 42 percent (a bit less than half) of those who start at 85 will be dead before age 90. Graph of life expectancy for year 2003. The number of over age 65 population went up 40%. The number of over age 85 population doubled. The number of deaths from flu and pneumonia almost doubled. Do the 2013-2014 seasonal flu vaccines contain thimerosal? "PutChildrenFirst commissioned a survey by Zogby International of more than 9,000 Americans regarding their views of mercury in flu shots." "- 76% of respondents are unaware that most flu shots contain mercury." "- 77% believe mercury should not be an ingredient in flu shots given to pregnant women and children." "* More than 90% of this year's [2006-2007] flu vaccine supply will contain 25 micrograms of mercury, ..."
It appears that a significant portion of the 132 million flu vaccines in 2007-2008 season will contain thimerosal but an exact calculation was not found. "...as many as 132 million doses of influenza vaccine will be available from currently licensed manufacturers in the U.S. for use during the 2007-08 influenza season." "MedImmune is projecting up to 7 million doses of the thimerosal free nasal vaccine, FluMist, ..."
Also CSL Biotherapy, Novartis and GlaxoSmithKline are producing preservative-free vaccines this season. FluMist®: (MedImmune) Live attenuated cold adapted virus*, allantoic fluid (egg white), sucrose, potassium phosphate, and monosodium glutamate. Source http://www.drugs.com/PDR/Flumist_Vaccine.html. FLUARIXTM: (GlaxoSmithKline) Chicken embryos, virus*, sucrose, sodium deoxycholate, formaldehyde, sodium phosphate, sodium chloride, octoxynol-10, Alpha-tocopheryl hydrogen succinate, and polysorbate 80, trace thimerosal (<1.25 mcg mercury per dose). Each dose may contain residual amounts of hydrocortisone, gentamicin sulfate, ovalbumin, formaldehyde and sodium deoxycholate. 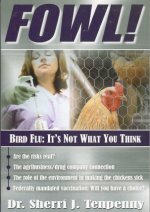 Fluzone®: (Aventis-Pasteur) Chicken embryos, virus*, formaldehyde, sucrose, octoxinol-9, sodium phosphate, sodium chloride, Gelatin, thimerosal in the 5mL vials (25 ug mercury/dose), no thimerosal in prefilled syringes. * See manufacturers Package inserts for details. The links above are to the package inserts. FluVirin, FluShield, FluZone, FluMist, Etc, Etc. Triton X-100 - Harmful if swallowed. Causes severe eye irritation. May be harmful if inhaled or in contact with skin. Toxicology not fully investigated. The product may contain traces of ethylene oxide or dioxane, which are probable human carcinogens. Gelatin- Made from the boiled bones, skins and tendons of animals. Sodium Phosphate - Phosphates are slowly and incompletely absorbed when ingested, and seldom result in systemic effects. Such effects, however, have occurred Symptoms may include vomiting, lethargy, diarrhea, blood chemistry effects, heart disturbances and central nervous system effects. The toxicity of phosphates is because of their ability to sequester calcium. Irritant due to its acidic nature. May cause inflammation and pain on prolonged contact, especially with moist skin. May sequester calcium and cause calcium phosphate deposits in the kidneys. Sodium Chloride(Salt) - Very large doses can cause vomiting, diarrhea, and prostration. Dehydration and congestion occur in most internal organs. Hypertonic salt solutions can produce violent inflammatory reactions in the gastrointestinal tract. May irritate damaged skin; absorption can occur with effects similar to those via ingestion. We randomized 115 children to trivalent inactivated influenza vaccine (TIV) or placebo. Over the following 9 months, TIV recipients had an increased risk of virologically-confirmed non-influenza infections (relative risk: 4.40; 95% confidence interval: 1.31-14.8). June 13, 2017 More on the topic above. The utter absurdity of vaccination ‘science’ is revealed in this study. It claims a flu vaccine results in less disease risk because it causes antibodies to develop, in spite of not reducing the likelihood of contracting the disease and also resulting in 5.5 times more incidents of similar diseases! In other words, a vaccine’s effectiveness is not determined by whether it prevents disease, but rather by whether it causes antibodies to be produced! Abstract of the study above. A good summation of the available information about the flu shot. The verdict is out on flu shots. Many medical experts now agree it is more important to protect yourself and your family from the flu vaccine than the flu itself. A brief introduction to the Flu Vaccine. Graphs: A quick overview of how we know the flu vaccine is ineffective. An expose on how the CDC misuses our tax dollars to sell vaccine products. Vax-ganda - Idiotspeak or Bullseye? A good look at why the flu shot is unscientific. Annual Flu Death toll of 400, rivals yearly road fatalities A look at the real number of yearly deaths related to the flu. Influenza shots? No thank you! by Vivian Virginia Vetrano, D.C. hM.D., M.D., PH.D.
"Animal reproduction studies have not been conducted with influenza virus vaccine. It is also not known whether influenza virus vaccine can cause fetal harm when administered to a pregnant woman..."
In addition, the protection provided by breast milk is not short-lived. How many really die of the flu each year? "posters.in the hospital requesting anyone who had FluMist within the past 21 days to leave the premises immediately..employees who take the shot are subject to 21 days mandatory suspension.insurance companies are refusing to reimburse..The main reason is the common `side-effects '.brain swelling"
12 cases of the "swine flu." ... You know the disaster that followed: After a thousand cases of paralysis had been reported, the CDC reluctantly admitted that they were caused by the vaccine. "The corrected estimate for the total number of 2009-A-H1N1-flu-shot-associated miscarriages and stillbirths during the 2009/10-flu season is 1,588 (95% goodness-of-fit confidence interval, 946 to 3587). That is, the lower and upper range-probability of miscarriage and stillbirths due to the H1N1 vaccine was as low as 946 and as high as 3,587. Flu shots associated with non-hodgkins lymphoma -- FULL TEXTConclusion Risk of NHL is inversely associated with polio and smallpox vaccination and positively associated with influenza vaccination." October 2006, authors of a JAMA article could find no significant adverse effect of flu vaccine in children aged 6-23 months in the first 2 weeks after vaccination. There were several problems with their methodology. Do repeated flu vaccinations in healthy adults and children increase risk of flu later in life? The first syndrome to be clearly correlated with the influenza-vaccination was the Guillain-Barre paralysis (1977). Memory loss, rash, itches, GBS, fatigue, etc. Flu shot left Canadian executive paralyzed. Dont have time for the flu? Got time for GBS? Oculo-respiratory Syndrome: A New Influenza VaccineAssociated Adverse Event? Do 'preservative free' flu vaccines contain any Mercury? "(<=0.5 µg Hg/0.25 mL dose)"
What percentage of 2004-05 flu vaccines contain Mercury? "Influenza vaccine is currently available both with thimerosal as a preservative and preservative-free. For the 2004-05 influenza season, it is likely that 6-8 million doses of inactivated influenza vaccine without thimerosal as a preservative will be available." This is 6 to 8 percent of the projected 100 million doses to be manufactured for the USA. "In a 1993 Dutch article on a nursing home for the elderly 50% of the vaccinated population caught the illness compared to the 48% unvaccinated." "We have all heard of the Swine flu vaccine disaster of 1976 that left over 565 cases of Guillain-Barre Syndrome paralysis, as well as other neurological problems and many unexplained deaths among recently vaccinated elderly." Found 1816 records with Vaccine contains 'FLU'. Found 687 records with Vaccine contains 'FLU' and ER Visit. Found 129 records with Vaccine contains 'FLU' and Hospitalized. Found 38 records with Vaccine contains 'FLU' and Life Threatening and Patient Did Not Die. Found 26 records with Vaccine contains 'FLU' and Patient Died. Reminder: the above numbers are reports of suspected or 'possible' adverse effects. To get true figures requires multiplication by the under-reporting factor which is estimated to be between 10 and 100. Will a Flu Shot This Year Make You More Susceptible Next Year? Michael Deem was getting a flu shot a few years ago when the nurse warned him that he would be at greater risk for getting the flu the following winter if he failed to get next year's flu shot. [Science? Or just a fancy explanation to cover the fact that vaccines always weaken the immune system? Please note that a person who has received a flu vaccine and is interested in having an HIV antibody test should wait at least 2 months before being tested. This is due to the possibility of a cross reaction that can cause an incorrect test result. Many people have asked me to reprint the flu shot information. I asked Dr. Fudenberg why this was so and he said it was due to the mercury that is in every flu shot (and many childhood shots). The gradual mercury buildup in the brain causes cognitive dysfunction. (1) Dr. Fudenberg at the NVIC International Vaccine Conference, Arlington, VA September, 1997. Quoted with permission. (2) John's Hopkins Newsletter Nov 1998. Scientists who do not stand to gain financially from the flu vaccine (or other commercial interventions) are proposing a hypothesis that should have been studied decades ago. By examining the historic record of influenza outbreaks several scientists-including Dr. Scott Dowell, director of the Global Disease Protection Program at the Centers for Disease Control and Prevention in Atlanta, are focusing on sunshine. Most people don't get enough sunshine this time of year and are therefore deficient in vitamin D.
Vitamin D isn't the only substance being kicked around as a seasonal stimulus candidate. The CDC's Scott Dowell favors melatonin, a naturally occurring hormone whose production is tied to the daily light-dark cycle. Preliminary research suggests that the hormone might help regulate the body's immune response. "I don't know where it's going to lead," he concedes. Conclusion: This study suggests that vitamin D3 supplementation during the winter may reduce the incidence of influenza A, especially in specific subgroups of schoolchildren. This trial was registered at https://center.umin.ac.jp as UMIN000001373. Flu shots - how useful are they? From: "Some history of the treatment of epidemics with Homeopathy"
Perhaps the most recent use of homeopathy in a major epidemic was during the Influenza Pandemic of 1918. The Journal of the American Institute for Homeopathy, May, 1921, had a long article about the use of homeopathy in the flu epidemic. Dr. T A McCann, from Dayton, Ohio reported that 24,000 cases of flu treated allopathically had a mortality rate of 28.2% while 26,000 cases of flu treated homeopathically had a mortality rate of 1.05%. This last figure was supported by Dean W.A. Pearson of Philadelphia (Hahnemann College) who collected 26,795 cases of flu treated with homeopathy with the above result. The most common remedy used was Gelsemium, with occasional cases needing Bryonia and Eupatorium reported. Dr. Herbert A. Roberts from Derby, CT, said that 30 physicians in Connecticut responded to his request for data. They reported 6,602 cases with 55 deaths, which is less than 1%. Dr. Roberts was working as a physician on a troop ship during WWI. He had 81 cases of flu on the way over to Europe. He reported, "All recovered and were landed. Every man received homeopathic treatment. One ship lost 31 on the way." by Mikhail E. W. Plettner, Ph.D., M.Sc., L.Ac. Flu season is almost over. While the propaganda around the flu vaccine continues, the science behind the shots tells us how off the propaganda is. Let me warn you, if you're a fan of flu vaccines, you are probably not going to like what this new study has to say. The authors of the study were reporting specifically on the effectiveness of the flu vaccine in the years 2012 to 2015. To do the study, they looked at 1,930 men and women who came down with the flu during those years and how effectively the flu vaccine worked for them. Out of this group, 815 (42%) of them tested positive for the flu. Of these, 72% tested positive for influenza A and 28% for influenza B. According to the authors, "Virtually all influenza A cases involved the subtype virus known as H3N2." And they went on to report that the vaccine efficacy or VE for this virus was -16%. So, what exactly does that mean? Vaccine efficacy (VE) is the percentage of a reduction in a disease in a vaccinated group of people compared to an unvaccinated group. A VE of 100% would mean that the vaccine prevented the disease in 100% of those who got the vaccine. But what in the world does a negative VE like -16% mean? Believe it or not, it means that those men and women who had the vaccine were 16% more likely to get the flu than those who refused the vaccine. In other words, a negative VE is not a good thing for a vaccine to have. But hang on, there's more to talk about. For example, what happens to the flu vaccine VE if you get the vaccine year after year? Hold on to your hats. "The review authors found that in children aged from two years, nasal spray vaccines made from weakened influenza viruses were better at preventing illness caused by the influenza virus than injected vaccines made from the killed virus. Neither type was particularly good at preventing 'flu-like illness' caused by other types of viruses. In children under the age of two, the efficacy of inactivated vaccine was similar to placebo. It was not possible to analyse the safety of vaccines from the studies due to the lack of standardisation in the information given, but very little information was found on the safety of inactivated vaccines, the most commonly used vaccine in young children. Last September, a large study by Canadian scientists Danuta Skowronski and Gaston De Serres threw Canada into an uproar with their findings showing people who had prior "seasonal flu" shots were much more likely to come down with newly appeared H1N1 (Swine) flu illness. When the dust had settled every Provincial Health Department but one, New Brunswick, declared seasonal flu shots would not be given until perhaps January of the new year, with only the new H1N1 vaccine immediately rushed into service. As it turned out by January first new flu cases had sunk to essentially zero so the seasonal flu shot became a moot point, having little appeal. All this was front page in newspapers across Canada, yet was completely ignored by the U.S. Health establishment and news media, illustrating the usual policy by officials at the the U.S. Centers for Disease Control (CDC) to keep the American public in the dark. In other words just follow orders from CDC Generals, don't ask questions, and in the immortal words of NBC's Dr. Nancy Snyderman on national TV, "just take your damn flu shot." Feb 18, 2010 (CIDRAP News) – In an updated analysis of scores of studies spanning four decades, researchers at the Cochrane Collaboration in Rome say reliable evidence on the effectiveness of influenza vaccination in elderly people is very sparse and shows only a modest benefit. ... The authors, led by Tom Jefferson, examined 75 studies and found that the vast majority were flawed by various kinds of selection biases, meaning the vaccinated and unvaccinated groups differed or might have differed in health status or other characteristics that may have affected the outcomes. The group found only one RCT that they regarded as fully reliable. For an excerpt and comment about the Cochrane Library research into Vaccines for preventing influenza in healthy adults see this link that provides a direct link to cochranejournalclub.com where free downloads of the Cochrane Database resources are available. A new Canadian-led study has added to a simmering scientific dispute over flu-shot campaigns, concluding that immunizing nursing-home workers does nothing to cut the number of confirmed influenza cases among the homes' elderly residents. Flu Shot Proven To Be Ineffective....Again. The fact that the flu shots are ineffective in every age group hardly seems to matter to those who continually promote their use. Only a few studies of the vaccine have been conducted in children under 2 years old, and findings suggest that the injection is no better than a placebo at preventing influenza. Moreover, only one tiny study has looked specifically at the safety of flu shots in toddlers. The Cochrane review [The Cochrane Collaboration, an international organization that evaluates medical research.] comprised 51 studies of influenza vaccines — including 17 papers translated from Russian for the first time — involving more than 250,000 healthy youngsters under age 16. Yet only a fraction of these studies focused on children younger than 2. Two efficacy studies involving about 1,000 toddlers indicate that flu shots containing inactivated virus — the only vaccine approved for this age group — are no more effective at preventing the flu than placebo. ... 60% Vaccination twice annually, or dropping to 20% coverage made no difference in flu incidence. Two large studies with cities with vaccination rates between 1% and 90% showed little difference in incidence. In fact, vaccinated incidence rates were slightly higher. "From 1972 to 1979 , a total number of 142 children and families sued the government for damages. The total number of deaths were 50, severe developmental retardation were 65, and intractable epilepsy were 35." Vaccine Risk Awareness Network - - See sidebar for Influenza links. Good general information as well as info specific to Canada. Mass influenza vaccination in Ontario: Is it worthwhile? Only a small percentage of reported cases of "Influenza-Like Illnesses" (ILI) are actually laboratory cofirmed as influenza virus - somewhere between 10-15%. The rest, 85% or more of ILI's are other identified as other viruses, RSV, rhinovirus, adenovirus, etc. The flu vaccine gets the most-useless-vaccine-of-all-time award. Now the CDC is recommending the vaccine for children under two years old and all adults over 50. Don't fall for it. ... Regardless of vaccination status, 99 percent of the elderly recover from the flu without being hospitalized. Week 44, 2002, in Canada out of 6149 Influenza tests, 6 proved positive for Influenza type A, and ZERO for type B. "During the 2004-2005 season in Canada there were a total of 12,875 cases of influenza, of which 10,762 were Influenza A (primarily A/Fujian/411/02(H3N2)-like) and 2,113 were Influenza B." Laboratory Surveillance*: During week 44 , WHO and NREVSS laboratories reported 884 specimens tested for influenza viruses of which 4 (0.5%) were positive. Two were unsubtyped influenza A viruses and 2 were influenza B viruses. (Health Canada) Does the flu shot work? The selection of reader comments on this article. (both pro and con - from protection to 'everybody gets the flu from the flu shot') is no longer posted on Health Canada's site so a copy of the comments is now posted HERE. Four other studies among nursing home patients have demonstrated a vaccine efficacy at 0%, 2%, 8% and 9% even when the vaccine virus is "essentially identical" to that causing the outbreak. To justify the government's recommendation that all elderly persons receive flu shots, they make the claim that even though the vaccine does not prevent the flu very well, it is highly effective in preventing the severe consequences of infection in at risk groups as measured by the reduction in pneumonia, hospitalisation and death. [Alan Hampson, Media Release, 5/3/99] The actual fact is that according to a Medicare Influenza Vaccine Demonstration Project, Medicare payments were significantly higher for those who had been vaccinated. The influenza epidemic that hit North America so strongly in January 2000 was the worst in 5 years. Of interest is the fact that a large percentage of the elderly that contracted the flu did so despite having had their flu shots. One nursing home in Toronto recorded 32 cases of the flu; of those who became ill, 31 had been vaccinated against the flu the month before. Earlier studies have strongly suggested that the vaccine dramatically prevents ear infections. An unpublished, yet news-making, study of 793 children aged 6 to 24 months, presented at the May 2002 meeting of the Pediatric Academic Societies, reports no decrease in ear infections, doctor's visits, ER visits, antibiotic prescriptions, ill family members, or missed work, school, or daycare in those that received the vaccine. The Grand Island home was quarantined in February after seven cases were diagnosed at the home of 340 residents. The outbreak came even though 98% of residents were given flu shots. 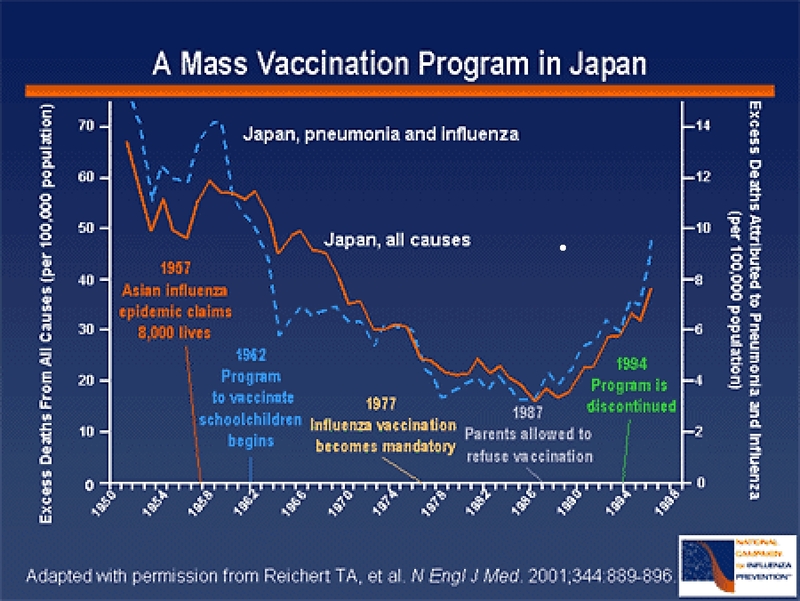 JPEG Graph showing decline in both all-cause and pneumonia-influenza deaths before program to vccinate schoolchildren in Japan began. http://www.vaccineinfo.net/immunization/vaccine/influenza/flu_vaccine_facts.shtml Long article on Flu Vaccines which include the next two articles. There has been a lot of hype as to whether influenza vaccines really ward off bouts of the flu. According to this doctor, the vaccines aren't worth risking the side effects. By Kristine Severyn, R.Ph., Ph.D. The medical community seems divided about the appropriateness of flu shots. "I believe optimizing our Vitamin D blood levels is one of the best things we can do to protect ourselves from the Swine Flu." Flu Shot is Not Cost Effective For Adults But is For Children? long series of articles on wood smoke, smoking, etc on lung health. State regulators will likely allow Massachusetts pharmacists to administer flu shots this fall  following the success of a multiyear pilot program -- a move the industry says gives it a chance to expand access to flu shots, tap into a new revenue source and help overworked doctors and nurses. Presentation by Kristine M. Severyn, R.Ph., Ph.D.
By Kristine M. Severyn, Ph.D.
Government Practicing Medicine Without a License? Religious exemption for nearly everyone. Refusal/Legal: Return to Index of Articles for Vaccination Liberation. Avoid Vaccinations: Return to Index of Articles for Vaccination Liberation. FluLaval - GlaxoSmithKline |OK'ed October 5, 2006 for adults. Source for the Package insert for Fluzone 'preservative free' 2002-2003 Formula. "...is a sterile suspension prepared from influenza viruses propagated in chicken embryos. Thfile:///home/du/vaclib.org/basic/fluindex.htm#sciencee virus-containing fluids are harvested and inactivated with formaldehyde. Influenza virus is concentrated and purified in a linear sucrose density gradient solution using a continuous flow centrifuge. The virus is then chemically disrupted using Polyethylene Glycol p-Isooctylphenyl Ether (Triton r X-100 - A registered trademark of Rohm and Haas, Co.) producing a "split-antigen." The split-antigen is then further purified by chemical means and suspended in sodium phosphate-buffered isotonic sodium chloride solution. Fluzone has been standardized according to USPHS requirements for the 2002-2003 influenza season and is formulated to contain 45 micrograms (µg) hemagglutinin (HA) per 0.5 mL dose, in the recommended ratio of 15 µg HA each, representative of the following three prototype strains: A/New Caledonia/20/99 (H1N1), A/Panama/2007/99 (H3N2) (an A/Moscow/10/99-like strain) and B/Hong Kong/1434/2002 (a B/Hong Kong/330/2001-like strain). 1 Gelatin 0.05% is added as a stabilizer. Fluzone is supplied in two unit dose preservative-free presentations distinguished by a pink syringe plunger rod: a 0.25 mL prefilled syringe (for pediatric use) and a 0.5 mL prefilled syringe; both are formulated without preservatives but contain a trace amount of thimerosal [(contains 49.6% mercury),(<=0.5 µg Hg/0.25 mL dose) (<=1.0 µg Hg/0.5 mL dose)] from the manufacturing process. Fluzone is also supplied in two other presentations: a 0.5 mL prefilled syringe and 5 mL vial of vaccine, of which both contain the preservative thimerosal [(mercury containing compound), 25 µg mercury/0.5 mL dose]. Fluzone, after shaking syringe/vial well, is essentially clear and slightly opalescent in color. ANTIBIOTICS ARE NOT USED IN THE MANUFACTURE OF FLUZONE." "Among persons aged >=65 years, influenza vaccination levels increased from 33% in 1989 to 66% in 1999, surpassing the Healthy People 2000 goal of 60%. " "Influenza A viruses are further categorized into subtypes based on two surface antigens: hemagglutinin (H) and neuraminidase (N). Influenza B viruses are not categorized into subtypes. Both influenza A and B viruses are further separated into groups based on antigenic characteristics. New influenza virus variants result from frequent antigenic change (i.e., antigenic drift), resulting from point mutations that occur during viral replication. Influenza B viruses undergo antigenic drift less rapidly than influenza A viruses. Since 1977, influenza A (H1N1) viruses, influenza A (H3N2) viruses, and influenza B viruses have been in global circulation. A person's immunity to the surface antigens, especially hemagglutinin, reduces the likelihood of infection and the severity of disease if infection occurs. However, antibody against one influenza virus type or subtype confers little or no protection against another virus type or subtype. Furthermore, antibody to one antigenic variant of influenza virus might not protect against a new antigenic variant of the same type or subtype. The frequent development of antigenic variants through antigenic drift is the virologic basis for seasonal epidemics and the reason for the possible incorporation of >=1 new strains in each year's influenza vaccine." "Influenza-related deaths can result from pneumonia as well as from exacerbations of cardiopulmonary conditions and other chronic diseases. In studies of influenza epidemics occurring from 1972-1973 through 1994-1995, excess deaths (ie, the number of influenza-related deaths above a projected baseline of expected deaths) occurred during 19 of 23 influenza epidemics. During those 19 influenza seasons, estimated rates of influenza-associated deaths ranged from approximately 30 to >150 deaths/100,000 persons aged >=65 years. Older adults account for >90% of deaths attributed to pneumonia and influenza. From 1972-1973 through 1994-1995, >20,000 influenza-associated deaths were estimated to occur during each 11 different US epidemics, and >40,000 influenza-associated deaths were estimated for each of 6 of these 11 epidemics. In the US, pneumonia and influenza deaths might be increasing in part because the number of older persons is increasing." "SAFETY AND EFFECTIVENESS OF FLUZONE (SUBVIRION) IN INFANTS BELOW THE AGE OF 6 MONTHS HAVE NOT BEEN ESTABLISHED." INFLUENZA VIRUS IS PROPAGATED IN EGGS FOR THE PREPARATION OF INFLUENZA VIRUS VACCINE. THEREFORE, FLUZONE SHOULD NOT BE ADMINISTERED TO ANYONE WITH A HISTORY OF HYPERSENSITIVITY (ALLERGY), ESPECIALLY ANAPHYLACTIC REACTIONS, TO EGGS OR EGG PRODUCTS. IT IS ALSO A CONTRAINDICATION TO ADMINISTER FLUZONE TO INDIVIDUALS KNOWN TO BE SENSITIVE TO THIMEROSAL. EPINEPHRINE INJECTION (1:1000) MUST BE IMMEDIATELY AVAILABLE SHOULD AN ACUTE ANAPHYLACTIC REACTION OCCUR DUE TO ANY COMPONENT OF FLUZONE. Fluzone should not be administered to patients with acute respiratory or other active infections or illnesses. Immunization should be delayed in a patient with an active neurologic disorder, but should be considered when the disease process has been stabilized. Fluzone should not be administered to individuals who have a prior history of Guillain-BarrT syndrome (GBS). If Fluzone is administered to immunosuppressed persons, the expected antibody response may not be obtained. As with any vaccine, vaccination with Fluzone may not protect 100% of susceptible individuals." "Since the likelihood of febrile convulsions is greater in children 6 months through 35 months of age, special care should be taken in weighing relative risks and benefits of vaccination. Prior to an injection of any vaccine, all known precautions should be taken to prevent adverse reactions. This includes a review of the patient's history with respect to possible sensitivity to the vaccine or similar vaccine, to possible sensitivity to dry natural latex rubber, previous immunization history, current health status (see CONTRAINDICATIONS and WARNINGS sections) and a knowledge of the current literature concerning the use of the vaccine under consideration. Special care should be taken to prevent injection into a blood vessel." Although influenza is associated with more disease, hospitalization, and death in "at risk" populations, no adequate controlled studies exist which prove that influenza vaccine reduces the incidence of influenza in these groups. Past studies by NH Arden, et al, of type A(H3N2) influenza vaccine in nursing home patients yielded an average of only 27 percent efficacy with four studies demonstrating vaccine efficacy at 0, 2, 8 and 9 percent. Poor vaccine efficacy can even occur when the vaccine virus is "essentially identical" to that virus which is causing the outbreak. For influenza B vaccine, studies conducted by Arden range from 0 percent to 36 percent effective, averaging 21 percent. Considering that more than 90 percent of pneumonia and influenza deaths occur in persons 65 years of age or older, but that about 65 percent of all deaths (from any cause) occur in this age group anyway, it is nearly impossible to prove if flu shots significantly increase life expectancy in the elderly. Indeed one study of elderly Medicare patients in Ohio and Pennsylvania, published in Options for the Control of Influenza II, showed "no demonstrated effect of influenza vaccine in preventing death or limiting the length of hospital stay." Instead of being an effective prevention, evidence indicates that flu shots may be useless. 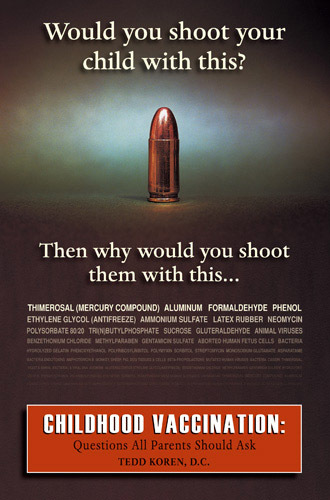 Although endorsed and funded by federal and state governments the shots seem only to benefit the companies that make them, public health bureaucrats who promote them, and medical personnel who administer them. http://www.healthsentinel.com/graphs.php?tablename=graphcategories&id=5&event=graphcats_print_list_item HealthSentinel.com's index page for graphs relating to flu mortality as well as one showing vaccine usage increase versus the recent increase in Mortality Rates associated with Pneumonia and Influenza. The lack of worth of the flu vaccine is shown in a nutshell. The combined number of deaths from pneumonia and influenza declined greatly from 1900 to 1950 and continued to decline slowly until 1979 and thereafter begin to rise until the year 2000 experiended the same rate of combined deaths from flu and pneumonia as occured in 1960. Note the low yearly figures for Flu associated deaths taken alone! YEAR Number of Flu Deaths as distinguished from Pneumonia associated Deaths. SOURCE: NATIONAL CENTER FOR HEALTH STATISTICS, REPORT OF FINAL MORTALITY STATISTICS, 1979-2001 The average is about 1223 per year for the above 15 years. Note 1999 figure here of 1665 versus the other CDC page which shows 572 also differs widely in the total number of Pneumonia deaths: 62065 versus 49,954. The following edited information is from the Maine (US) Lung Association website. "Over the past twenty years, age specific death rates for pneumonia and influenza have increased in the older adult populations (65+ years), and decreased in the childhood population (0-14 years), and have remained relatively constant in other population subgroups. The national data indicate a significant rise in the age specific pneumonia and influenza death rates among people 85 years and older. "Source: NCHS, 2000a,b; NCHS 1999. Rates are age adjusted to the 1940 US population. In the time period that death rates from flu increased in the older sub-population, the following pro vaccine -short course- thoughtfuly informs us that the vaccination rates also increased! Each year, influenza has a mortality cost of over 20,000 lives, particularly in patients over 65 with chronic co-morbidities. Fortunately, vaccination levels have risen dramatically since 1987 (33% to 65% ). [Fortunately, in what way, for whom? Could it be the vaccines are worthless??? ] See our section below on graphs and scroll down for a table and links to better estimates (by the CDC) of the actual number of deaths associated with the flu versus the much larger number of flu and pneumonia combined. In October of 2002, this information was posted at: http://www.vaclib.org/basic/fluindex.htm . Still the NIH and CDC continue to recommend a worthless procedure. A $Billion still buys a lot of ignor-ance of vaccine facts. "The article was based on a modelling study (2) to investigate trends in winter deaths associated with the flu during a time period when vaccination coverage among the elderly had increased. The research found that there was no relationship between increased vaccination coverage and declining mortality among any age group." Dr Lone Simonsen and colleagues at the National Institute of Health, Bethesda MD, and the Entropy Institute, Boston, USA conducted the study. The research was funded by the Unmet Needs programme from the National Vaccine Program Office, Washington DC. (2) " Simonsen L, Reichert TA, Viboud C, Blackwelder WC, Taylor RJ, Miller MA. Impact of influenza vaccination on seasonal mortality in the US elderly population. Archives of Internal Medicine 2005,165:265-272." "CDC's total program level includes $1.6 billion in mandatory VFC funding, and $265 million in Public Health Service evaluation transfers." For Influenza Funding alone, the proposed budget for 2006 includes $197 million for CDC and VFC (Vaccines for Children) plus another $439 million for HHS Influenza Funding program activities. A total of $636,000,000. This is not to mention the portion of the bioterrorism preparedness program which is devoted in some way to vaccines. CDC page on how they calculate flu related deaths each year: Here. Our Page on how to fight employer mandates is here.